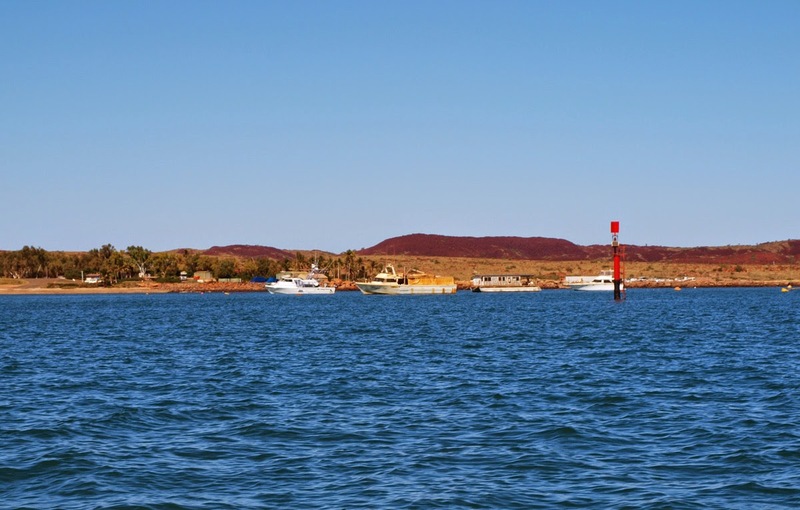 We left after the earlier 30 knots blasts, around midday again, and battled adverse current and wind for the next 4 hours to do the final 8 miles into Dampier. 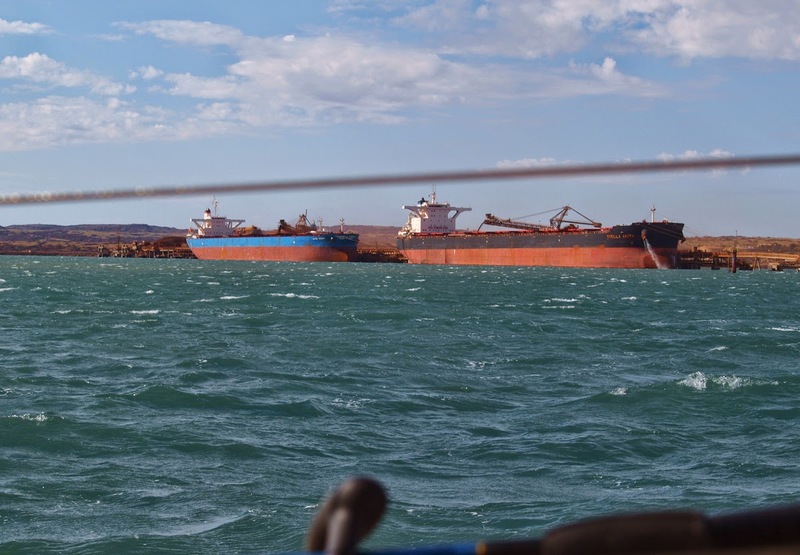 We motorsailed to keep as close to the wind as possible as we were coming down the middle of the great Rio Tinto mining port of Dampier, with 200,000 ton ore carriers, salt carriers and LNG carriers everywhere and we didnt want to be the slow boat clogging the harbour. Maybe over did the motorsailing a tad, for when we dropped anchor and wanted to reverse on it, the motor had died and wouldn’t restart. The next day I swapped out the spark plug and it started right away, looks like the running at near full throttle for half a day did it no favours. I think we need to go back to the earlier strategy and not be in a hurry to go places. 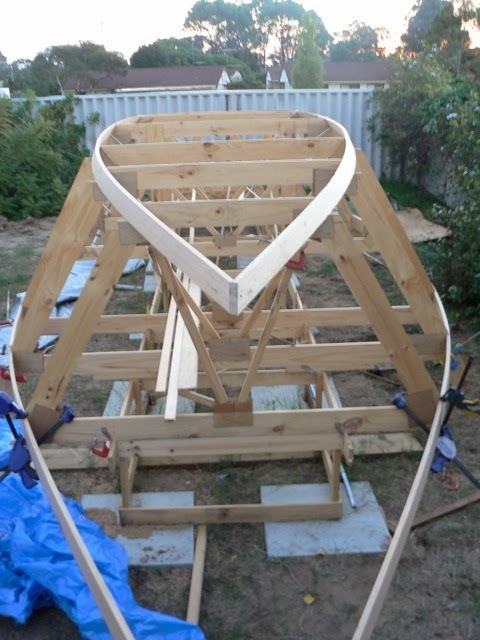 Another boat of the Carnarvon crew was in Dampier, the pirate ship “Hybrid Ark”, at the yacht club bar the skipper recounted how they would sail, like we used to, at 2 knots, sometimes at 1 knot and not be bothered by it. I think we should go back to that, sounds far better than running a noisy motor all day.